From the time spent in Research Methods classes long ago, I can confidently say that it is impossible to accurately measure the success rate of Alcoholics Anonymous. There are simply so many factors that make it impossible, and countless variables that can’t be controlled for a valid study. I won’t waste our time detailing all of them here, so you’ll just have to trust me on that if you have no background in scientific research. Besides the obvious (how does one study and track an anonymous population? ), I will just address a couple key points that come to mind. How do you define success in AA? And how do you define AA membership? The problem is that most people who attempt to estimate the AA success rate base it on the number of AA members with a certain length of sobriety reported (which again, is impossible to measure anyway) compared to an overall number of “AA members” (also impossible to accurately measure!). This leads to the question of who is considered “members”. In the 12 traditions of AA, all that is required for membership is “a desire to stop drinking”. Even by that loose definition, you still couldn’t include every single person who has attended an AA meeting because there are plenty of people who are court ordered to attend (apparently our judicial system thinks the success rate is high enough to warrant AA attendance mandatory for offenders suspected to have a drinking problem). There was a better chance at more accurately estimating the success rate of AA in the early days, when there were few groups, and members tended to have just one local meeting they attended… in contrast to today, where in some areas you could attend several different meetings in the same day in the same town… and the meetings may have 50+ in attendance which also makes it difficult to keep track of who is who, much less who has been sober for how long and who is actually attempting to work the 12 steps. Every day, countless individuals wander into an AA meeting just to check it out. Thousands more go to numerous meetings but never attempt to start and/or complete working on all 12 steps which are the basis of AA’s method of recovery. For example, the AA literature states that those who do not complete the 5th step are very likely to relapse…. They also wrote of their own attempts at recovery: “half measures availed us nothing”. So certainly the founders expected that members must work the 12 steps if the individuals truly wished to acquire long term sobriety, as the founders did. AA is a 12 step program, not a “just go to meetings” program. It is a spiritual program of recovery based on actively working a process of 12 steps and integrating them into one’s life. You can’t measure that – it’s subjective by nature. You can measure if someone is “clean” or “dry” from drugs and alcohol for a period of time, but is difficult to measure true sobriety. AA founding member, Bill Wilson advocated emotional sobriety, and the happier life that results from being emotionally sober (aka alcohol-free AND living spiritually). …which is why when Charlie Sheen publicly spews negative angry rants, and in the same moment claims he is “clean and sober”, sober AA members must shake their heads as while he might be clean of drugs and alcohol but he does not sound the least bit emotionally sober. Wow, so essentially they reported at least a 75% sobriety success rate of those who kept showing up and working at it. That was before the days of our modern rehabs, outpatient services, alternative 12 step programs, countless self-help books, etc. 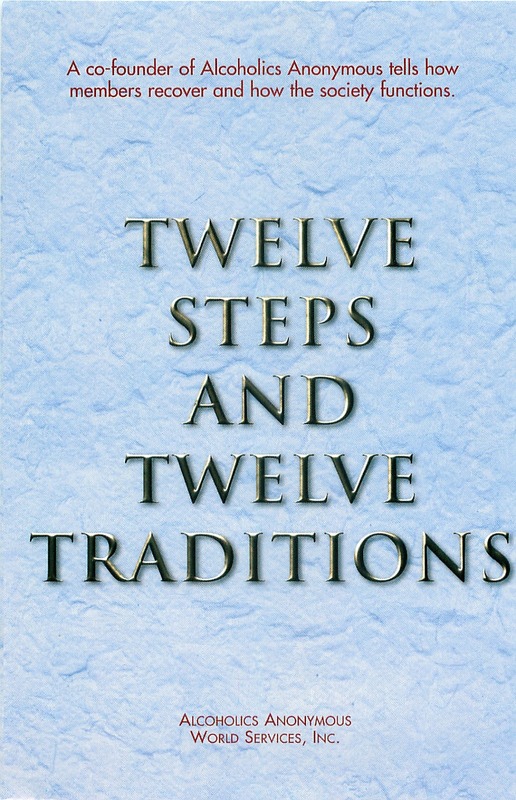 It was straight AA; the spiritual 12 step program where people were encouraged to work all 12 steps right away as Bill did, and they only focused on the main text of Alcoholics Anonymous as the instructions for sober living. If there were a way to measure the amount of people who actively participate in AA meetings and work the 12 steps as recommended by the founders of AA, then that would be the population to survey for length of sobriety to determine the success rate of AA as a program! 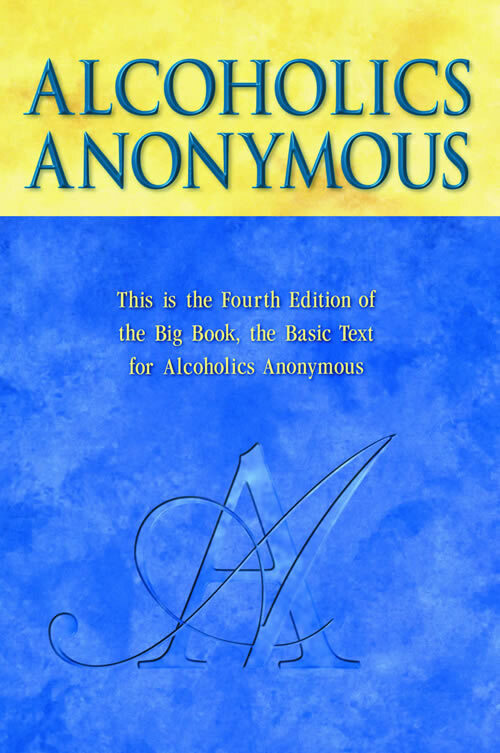 I wish there were a way, as I am confident the success rate would be high for those whom are honestly, willingly, and consistently working through the suggested 12 steps of recovery outlined by the founders of A.A. in the original text of Alcoholics Anonymous. …and with an accurate report of A.A.’s actual effectiveness, Charlie Sheen couldn’t blame AA’s success rate for his chronic relapses. One of the reasons Alcoholics Anonymous established the 12 Traditions was to address this type of issue- when a celebrity announces their participation in AA and then proceeds to comment about AA in the media, they are representing A.A. which is exactly what the Tradition says not to do (regardless of positive or negative comments about the program, AA does not wish to be represented by any individual on the level of press). It is good that Sheen does not claim to be a member of AA currently while his behavior seems manic, full of anger and grandiosity. As another Tradition states, AA is a program of attraction, not promotion. Hopefully the countless hopeless alcoholics who could indeed benefit from Alcoholics Anonymous were not influenced by the ranting of one sick misguided celebrity who may be “dry” of his own accord but it not “sober” by AA standards. Thankfully, AA as a whole is too strong to be affected by Charlie Sheen’s public inaccurate defamation. I agree that AA has done so much for so many people. I also agree that to put a percentage on the success rate is impossible - so many people try AA that don't really want to give a 100% effort. However, AA's success would be even better if it embraced it's co-founder's opinion regarding the nutritional needs of an alcoholic. 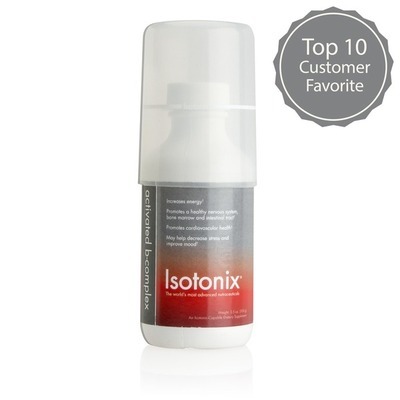 In Bill Wilson's later years, he was very involved in this, especially the supplement vitamin B3 (also know as Niacin). In a personal study of his own, he found that this nutrient did wonders to reduce the "physical" craving for alcohol. The mind is wonderful and can do many things - but by itself, it cannot overcome a physical craving. Removing the mental obsession for alcohol is critical in recovery - but I have learned from experience that I had to also address my body's biochemistry to truly enjoy sobriety. Thanks, Shawn. I'm so with you on this! Will check out your site too. Be well! The more we learn about early Akron A.A. and its Christian Fellowship founded in 1935, the easier it is to understand why the success rate was so high and the documentation so clear. Much more information has become available with the publication of the earliest group of AA of Akron pamphlets, the interview of Dr. Bob in 1939, the last major address by Bob in 1948, and Bob's remarks on the stage with Bill Wilson at the Shrine Auditorium in Los Angeles. Also with the publication of Bill's autobiography, the When Love is Not Enough biography of Lois, and the biography of Dr. Silkworth. To combine these with other conference approved literature is to round out a picture of Christians meeting daily, Christians in fellowship together, Christians studying the Bible and praying together, Christians bringing others to Christ, Christians breaking bread together, witnessing together and converting others together. There lies a success formula that goes back to the Book of Acts. It is a parallel that Bill, Lois, Bob, the Rockefeller people, and Dr. Silkworth confirmed. To go further into the changing days after 1939 and certainly after Dr. Bob's death is to move into the field of undocumented and undocumentable speculation. Good article above. I enjoyed it and the comments. www.ChristianRecoveryCoalition.com. Here is the problem, why can't A.A. and N.A. start with an objective basic baseline analysis? I believe it is because the numbers do not lie and are not good for new members to be shown...hence a loss of hope. If you started with an annual survey (a snapshot in time) of members in various stages of recovery in a 12 month time period then you would have a good statistical baseline. Let's say there are 100 people in month 1, 75 in month 2, 50 in month 3, 40 in month 4, and so on and so on...until you get to a year (which would be roughly 5%-8% success rate after one year). This would give an Honest statistical number that can be measured year after year without bias. I believe why this is not done is that these organizations want to hide these facts instead of embracing the truth and adjust their approach to get better results. Isn't this how Medical Doctors do an analysis if medications work (ie...cancer)? If addiction is a disease...shouldn't it be treated as such? And if cancer success rates were stuck at 5%-8% wouldn't cancer dr.'s, patients and their families demand better more useful treatments and/or try new approaches or experimental medicine? Stop the madness of stating that it is impossible to count recovery success rates, it is possible...just start being objective with a baseline analysis and make adjustments to the approach of recovery of addiction instead of saying this way is the only way and try to bend an analysis to fit your belief. Shouldn't we be looking for increased success rates? Or do we stick with the status quo...No change in approach...that doesn't work for science or medicine...why do we accept this for addiction? AA and NA can't get that sort of baseline data because the data don't exist. AA is not organized and does not collect member data, when it has (in the past) attempted to collect survey data it is not clear how accurate even that is. As an MD researcher, I can tell you that the sort of research I do on drug efficacy just can't be done with AA and alcoholism. First, AA is not prescribed. There is no way to give a "placebo" AA. Many who go to AA go on their own, through the courts, and some through a physician or medical referral. Second, many who go to an AA meeting go only once and never go again - it is dubious to say that they've "tried" AA and it didn't work. In a research study we assign patients to treatment arms and would ascribe as a failure anyone who assigned to the arm who didn't succeed (ie failed to get sober) and success anyone who did - whether or not they even ever took the drug in order to maintain statistical purity. Further, it is silly to say that there have been no advances in either alcohol research or treatment. Combining intensive outpatient therapy with AA has a 30-40% success rate in the first year (tracking was not done beyond this). The fact that there is no miracle treatment at this point doesn't mean that people are resting on their laurels with what exists now.